Standing room only for a bowl of soup. Two local food banks will benefit from the Empty Bowls event Feb. 10. Restaurants donated the soup and 12 potters donated the handmade bowls. This year, restaurant participants included Green Bean Cafe, Cedar Valley Selections and Anchor Coffee House, among others. Dayna Wagner, coordinator of Empty Bowls Windsor, started the program about five years ago when she moved to the city. 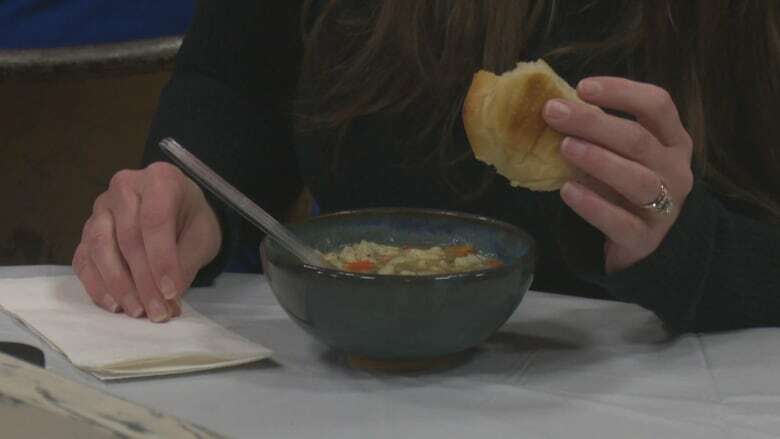 “We have a bowl of soup and you keep your bowl to remind you there’s people who don’t have a bowl of soup,” said Wagner. The first year Wagner organized the event, they sold 100 tickets. This year, 250 tickets were sold. Wagner loves that the international event is organized at the grassroots level. She doesn’t worry about next year’s event. “That takes care of itself,” said Wagner. People told Wagner they came because it was fun — and they wanted to collect locally-made bowls. Steve Fram’s wife told him to come have soup — all he knew before he went to the event was that the bowls were handmade. Fram tried three different soups with his $25 ticket. There were 300 handmade bowls to choose from. The event raised more than $6,000 for the Downtown Mission and Feeding Windsor.